I usually have my students keep a roster list of all the students in the class. This helps them learn and remember their classmates' names. This semester, I added a community building element to my class roster sheet. As students go around to collect names, they must also write down one interesting fact about each person they talk to. 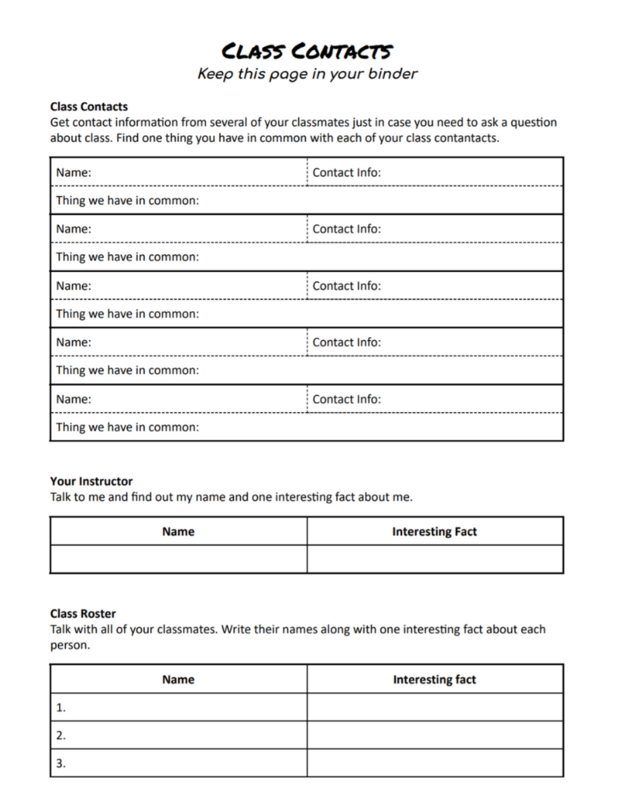 I also ask them to find several class contacts, so they have someone they can contact about the class if they need to. For each contact, they need to find one thing they each have in common. This activity went well in all of my classes this semester. It will get your whole class up, moving around, and talking. It's a nice way to make your class social and interactive from the very beginning. 0 responses on "Class Contacts and Roster Sheet"